Is it safe to eat eggs while pregnant? What are the benefits of eating eggs during pregnancy? How many eggs can a pregnant woman eat in a day? 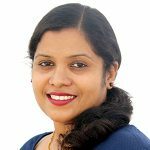 How to select the best eggs during pregnancy? What is the correct way to store eggs? 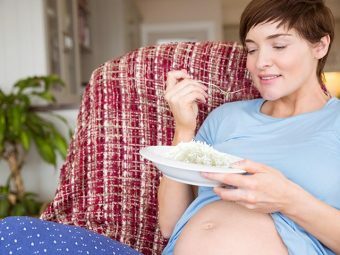 How to include eggs in a pregnancy diet? What is the shelf life of eggs? Eggs are among the few things that most people consider when it comes to healthy eating, for they contain all the essential nutrients including proteins, fats, and minerals. A healthy pregnancy diet should also include eggs to benefit from the nutrition they offer. That said, how safe are eggs during pregnancy and how much of this poultry product should you consume? 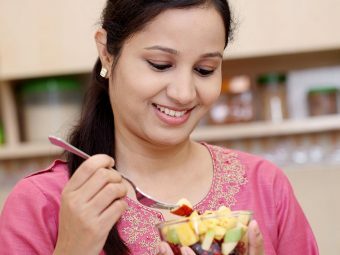 Find out more about eating eggs during pregnancy, the risks they pose and ways to include them in the diet. Yes, it is safe to eat eggs during pregnancy, provided they are completely cooked or pasteurized. Raw or undercooked eggs contain harmful bacteria such as salmonella that is likely to cause food poisoning. Cooking and pasteurizing the eggs will kill the bacteria, and it will reduce the risk of salmonella poisoning (1). Rich protein sources: Protein is essential for the healthy development of the baby as every fetal cell is made of protein. 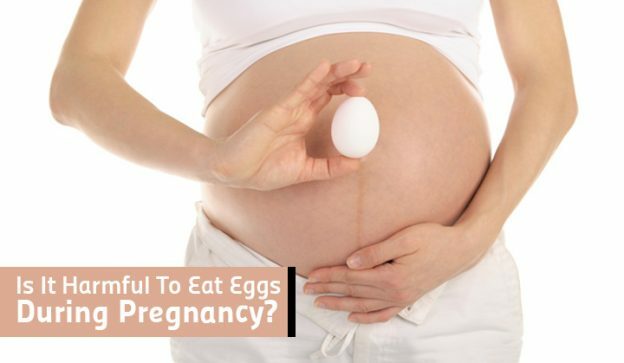 Eating eggs in sufficient quantity can be helpful for the growing fetus (2). Fetal brain development: Eggs contain good levels of choline that is good for the growth and development of the fetal brain. It will, therefore, protect the baby from neural tube defects (3) (4). 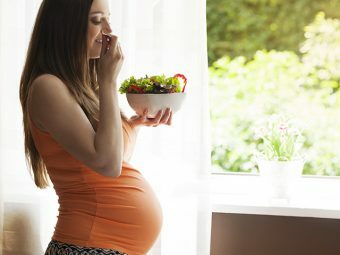 Provides calories: You will require about 200 to 300 extra calories in a day during pregnancy (5). An average-sized egg gives around 70 calories, thus helping meet the calorie requirement of both the mother and the baby (6). Regulates cholesterol: Eating eggs regularly will balance the cholesterol levels in the body (7). However, you should avoid egg yolk if you have cholesterol issue. The daily intake of eggs depends on the cholesterol levels in your body. It is advisable to include three to four eggs a week if your cholesterol levels are normal. Do not forget to check the best-before or sell-by date for packaged eggs. Do not buy eggs that have cracked shells as they are susceptible to bacteria and dirt. Prefer buying organic eggs as they do not use any antibiotics or hormones in the poultry (8). Do a freshness test: Put the eggs in a bowl of water. If they float, they are not fresh, and if they sink to the bottom, they are considered fresh. Another way is to shake the egg near your ear. If it makes a splattering sound, it is not fresh. And if it doesn’t, it is a fresh egg (9). Do not use an egg right out of the refrigerator. Let it set in the room temperature for at least two hours. This is to prevent bacterial contamination of the egg that undergoes perspiration when it is moved to a warmer space from a colder space. Keep them in egg trays inside the refrigerator to lower the chance of spoilage. Keep them in a separate tray, away from other food items. Store in the central area of the refrigerator, where the temperature is consistent, rather than on the side of the door. Do not store hard-boiled eggs in the fridge for more than three days. Boil an egg for at least five to seven minutes so that it is properly cooked. If you prefer frying eggs, fry them such that the white becomes solid and is no longer translucent. 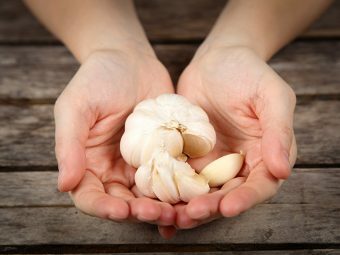 You can add new flavors and texture by using spices and vegetables rather than eating them plain. An egg should be ideally consumed within 28 days from the time it is laid. Foods containing eggs in any form need to be consumed immediately. Consuming eggs might be risky if you do not choose or cook them correctly. Raw or undercooked eggs contain Salmonella bacteria that cause food poisoning (1). It can lead to serious effects including high fever, vomiting, diarrhea, dehydration, and abdominal pain. Sometimes, it might also lead to miscarriage or preterm labor. Some women are likely to develop allergic reactions such as skin rash, hives, and nasal congestion. Egg yolk could cause dangerous cholesterol build-up if you are already suffering from cholesterol issues. Do not consider eating eggs outside if you are not sure of the quality or its conditions of preparation. Avoid consuming if you get any unusual smell or if the egg is runny (12). Although there are certain health risks associated with egg consumption during pregnancy, you can include them as long as you follow the above precautionary measures. But remember, it is a great addition to your healthy diet unless you are allergic to it. Do you have anything more to share about consuming eggs during pregnancy? Tell us in the below comment section. 8. What points should you consider when buying eggs; Egg Safety Center. 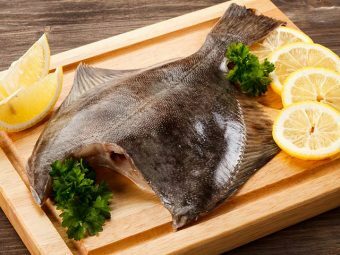 Is It Safe To Eat Flounder During Pregnancy?